I just purchased and downloaded an audiobook from iTunes store and would like to burn it to a CD for back up and to play in my car. How can I make it happen? Now, increasing people prefer to enjoy a story or relax their eyes by listening to iTunes audiobooks. But the audiobooks downloaded from iTunes Store are DRM protected; you are not able to move it to non-Apple devices for enjoying. Although you have burned the audiobook to a CD, it is not possible to play in your car due to the DRM issue. That is really inconvenient and frustrating! You may also want to burn some valuable iTunes Audiobooks to CD for backup or playing in the car. 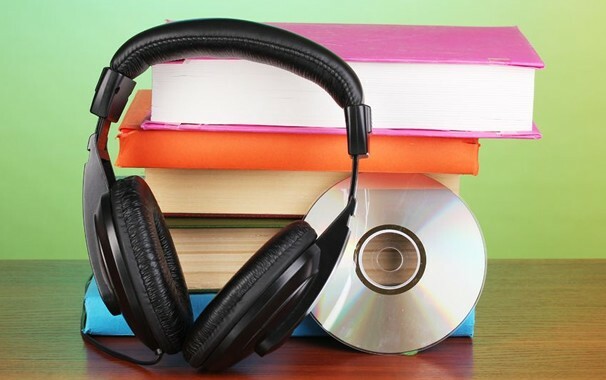 In this article, we will walk you through of how to burn iTunes audiobook to a CD. 1. What do You Need to Burn iTunes Audiobook to CD? A computer: Your computer must have a disc drive that can burn discs. A blank CD: You can choose a CD-RW or CD+RW disc which can be written to multiple times. 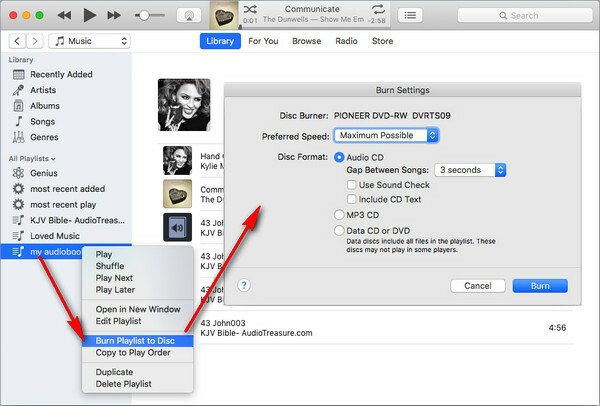 Disc-burning software: You can burn a CD of your music or playlist by using readily available software, such as iTunes. If you want a more professional program, you can try Any Video Converter Ultimate. A iTunes Audiobook to CD converter: If you want to burn iTunes audiobooks to CD for backup or playing in the car burn, you need to remove DRM protection from iTunes DRM-ed Audiobooks, so a powerful iTunes audiobook to CD converter is needed. 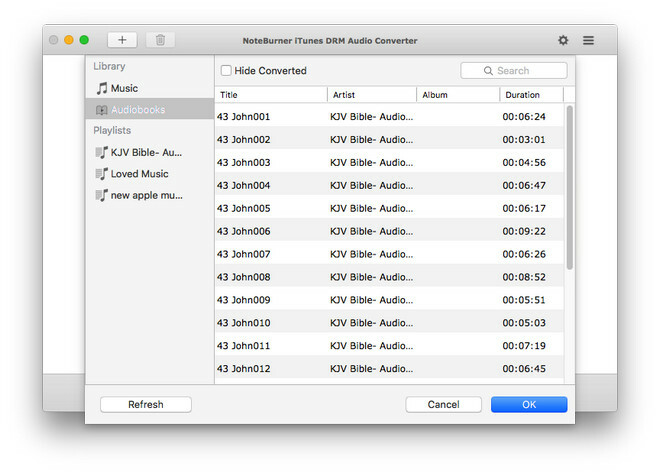 NoteBurner iTunes DRM Audio converter, an all-in-one audiobook DRM removal tool for iTunes and audible content, is born to help users legally remove DRM from iTunes audiobooks, M4P music files and Apple Music songs. And it supports toconvert Apple Music files, audiobooks, or other downloaded music from iTunes or Apple Music to Plain MP3, FLAC, AAC or WAV format at 10X faster speed with keeping lossless audio quality.. 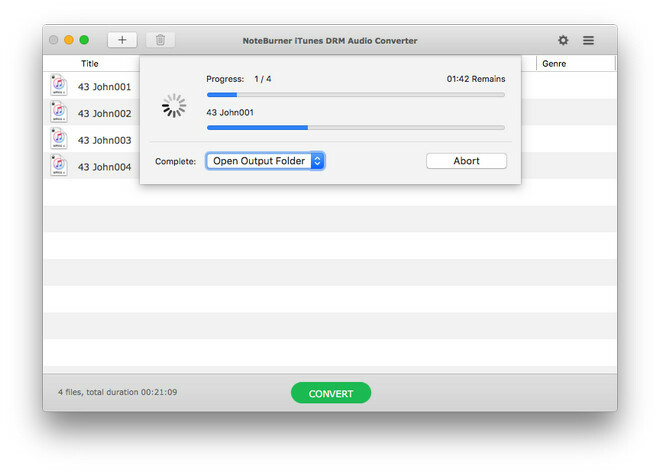 Step 1: Add iTunes Audiobooks to NoteBurner iTunes DRM Audio Converter. 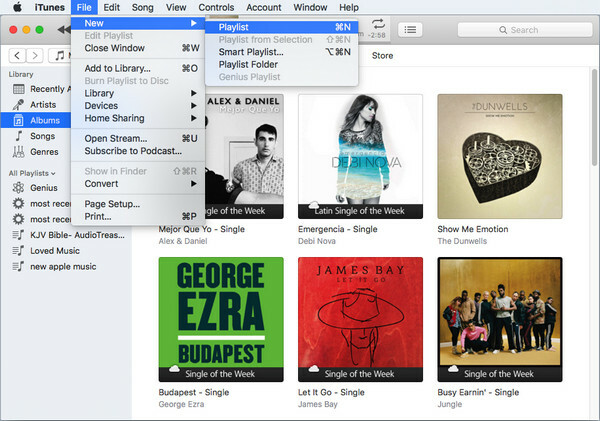 Please launch NoteBurner iTunes DRM Audio Converter, a concise interface will be showed to you. After click the "+" button on the top left to add audiobook, a window will pop up which will show you all the iTunes music and audiobooks, and then you need to click "Audiobooks" and choose the audiobooks you want to convert from the list and click "OK". Directly click button on the program interface, and then there will be a pop up window which allows you to set output path and output audio format. It is better to choose "MP3" as the output format and set the bitrate as "Audiobook (64 kbps)". When finish customization, click "Convert" button to start conversion. Once all the audiobooks files are converted successfully, you can find the output files by clicking the History button. After conversion, the next step is burn well-converted iTunes audiobbok to a CD. iTunes is the primary tool recommended by Audible to burn your audiobooks to CD. Before using iTunes to burn audiobook to CD, make sure you have installed the latest iTunes on your Mac or PC. In iTunes, choose File > New > Playlist to create a new playlist and type a name for the playlist, then drag & drop the files into the newly created playlist. Insert a blank CD disc, waiting until the disc is recognized. After that right click the playlist and select "Burn Playlist to Disc", then adjust the burning setting, and click "Burn" . 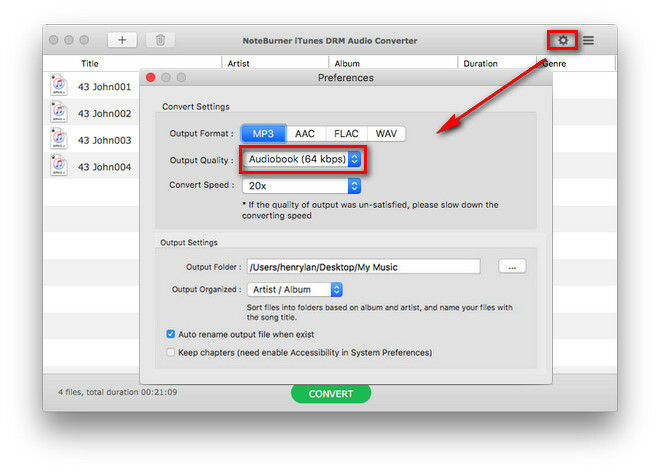 Tips: Except iTunes audiobooks, you also can convert Apple Music files and iTunes M4P music to MP3, AAC, FLAC or WAV format with NoteBurner iTunes DRM Audio Converter and burn them to a CD.